"Street Fighter" producer Yoshinori Ono wants to take the "Marvel vs. Capcom" idea and use it with Nintendo characters. With "Street Fighter V" finally out for the PS4, interest in the series has reached an all-new high and during the producers recent efforts to promote the title, Ono has been asked about more mash-ups with external companies. The news comes from an interview with StreetPass UK, where Ono reveals that he'd love to see Zangief, Blanka or even "Street Fighter EX's" Skullmania dropped into the world of "Super Smash Bros." However, he did admit that he wouldn't want to limit his vision to just "Street Fighter," and that a "Nintendo vs. Capcom" game would be his dream project. 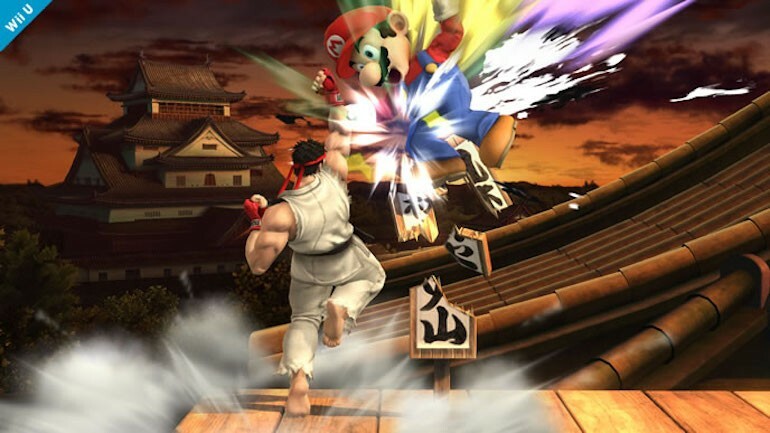 While we already seen a handful of fighters in the latest "Super Smash Bros." title for Wii U and 3DS including Mega Man and "Street Fighter's" Ryu it would be awesome to see other famous Capcom fighters take on the Nintendo characters. Imagine playing as Phoenix Wright, Dante from "Devil May Cry," Jill Valentine from "Resident Evil" and characters from "Viewtiful Joe" taking on Link from "The Legend of Zelda," Mario and Donkey Kong. The amount of characters could be extensive and the action sounds epic. Capcom already has a long history of mashing up fighting games with titles like "X-Men vs. Street Fighter," "Marvel vs. Street Fighter," "Marvel vs. Capcom," "Capcom vs. SNK" and "Tatsunoko vs. Capcom." The last of which was considered one of the best fighting games on the Wii. If you take into consideration that Capcom and Nintendo have been working quite well together, Ono's wish could come true and we could see this "Nintendo vs. Capcom" title.